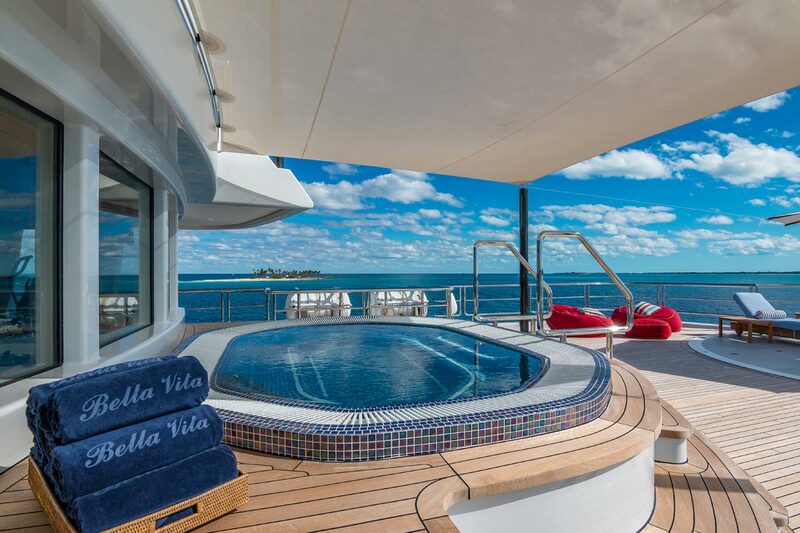 Bella Vita is designed to anticipate every guest desire from a Jacuzzi located on the sun deck and a Spa pool on the bridge deck to a cinema and spa areas encompassing an air-conditioned gym, massage room and beauty salon. Each guest deck offers social areas for gathering together or getting away from it all in privacy. Five-star service is provided by the professional captain and crew. Every meal is skillfully prepared by the private chef and artfully served by the attentive staff. 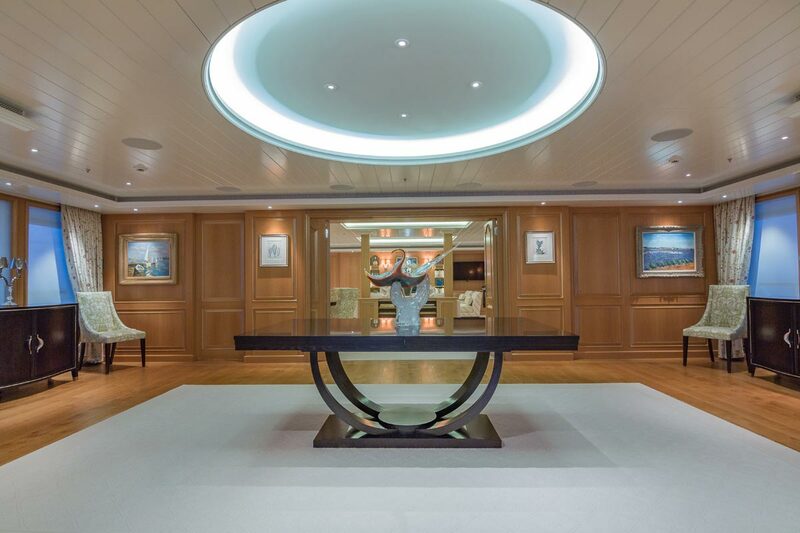 The interiors are exceptionally spacious with a serene designer décor that sets the tone for a relaxing holiday at sea. 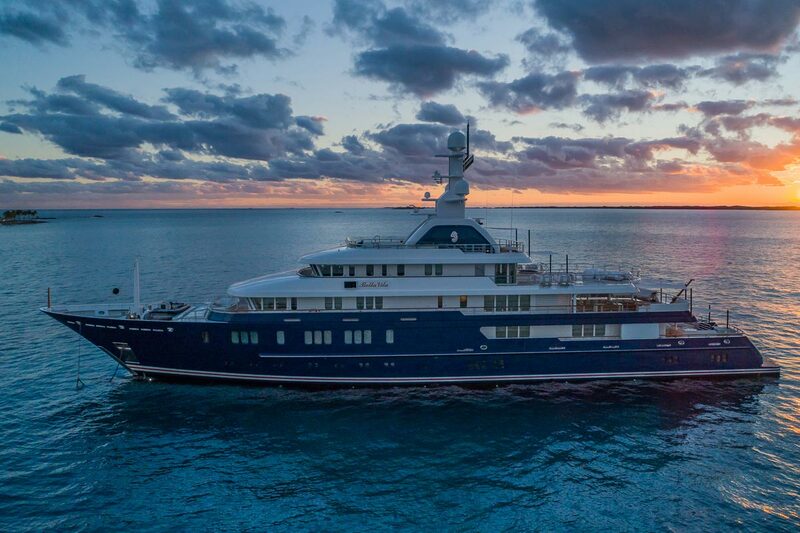 A full array of auxiliary vessels and water toys complement the onboard experience. 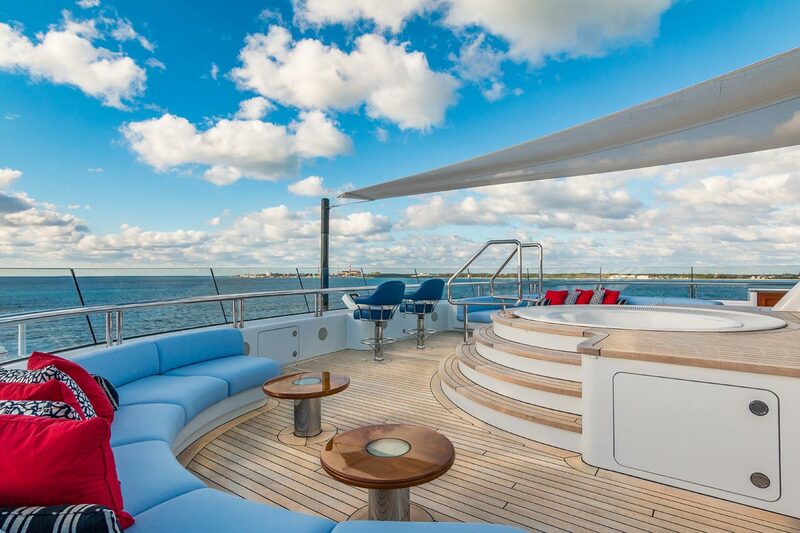 A large motor launch whisks guests to beaches or exotic ports-of-call in comfort. 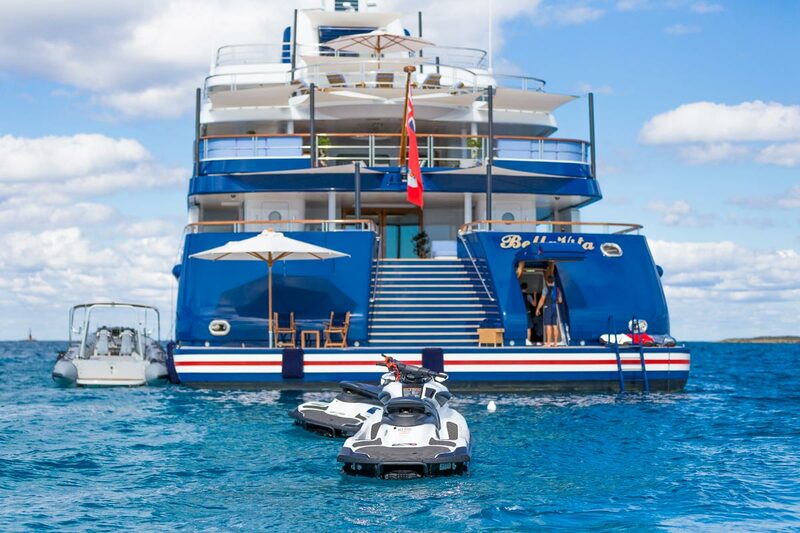 Bella Vita is fully equipped for fishing, snorkeling and picnic day trips. The large teak swim platform is ideal for sunning and saltwater swims. Waverunners, underwater scooters, water skis, towable inflatables other action-oriented water sports gear are on hand for thrill-seekers. 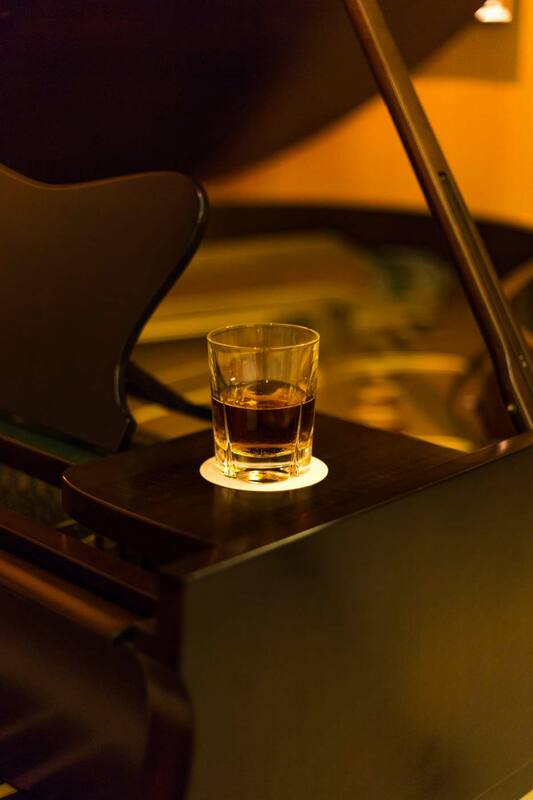 Guests are invited to enjoy the world of luxury and adventure offered by Bella Vita. Charter vacations may be arranged through your preferred yacht charter agent. 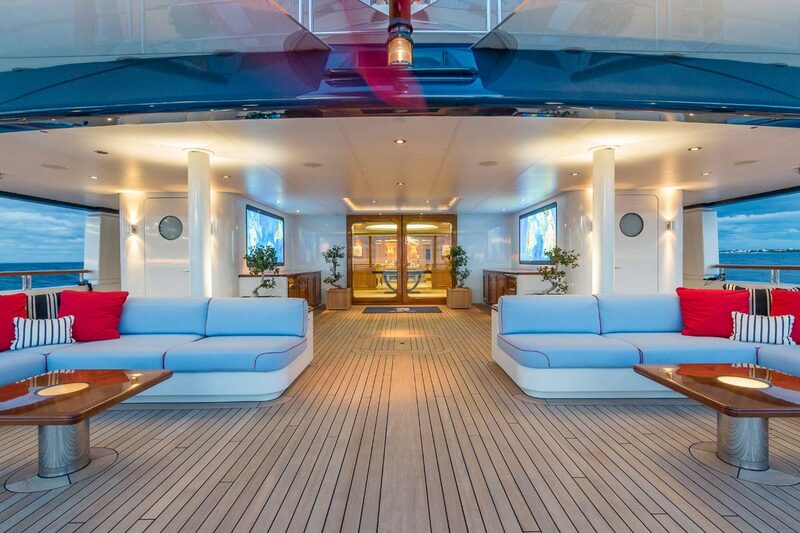 On deck areas provide a variety of areas for recreation, socializing and relaxing. 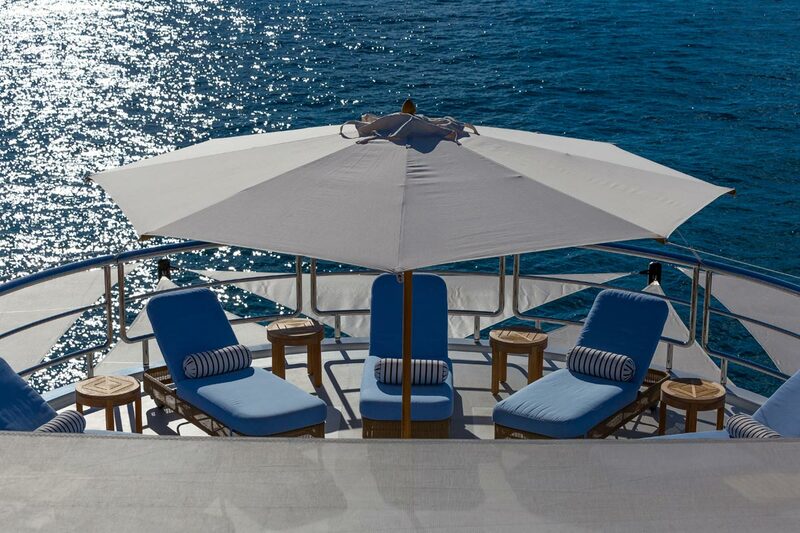 Guests enjoy dining al fresco on the aft deck, sipping refreshing beverages at the bar or soaking in the Jacuzzi and reclining on the forward sun beds. 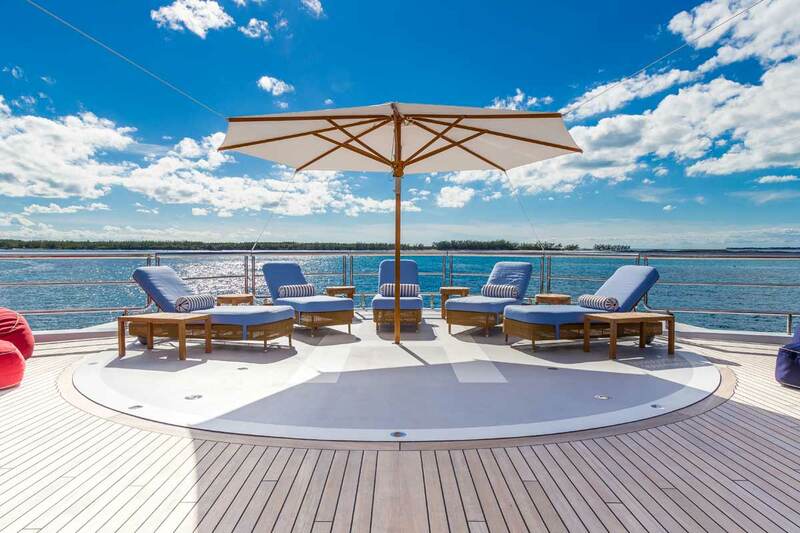 The massive swim platform provides a teak beach perfect for being right on the water in complete comfort. The luxurious interior of Bella Vita offers the full spectrum of well-designed social areas all reached via a splendid glass elevator. 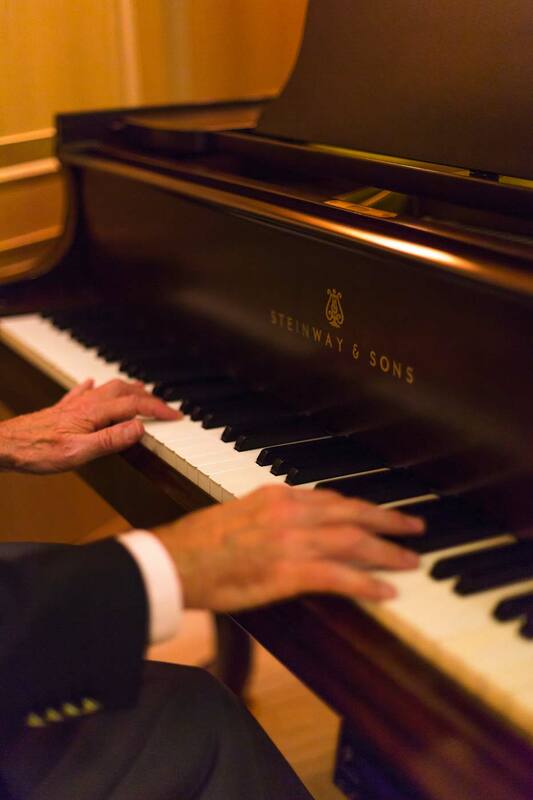 The large main salon opens into a formal dining area for a vast party space complete with grand piano. 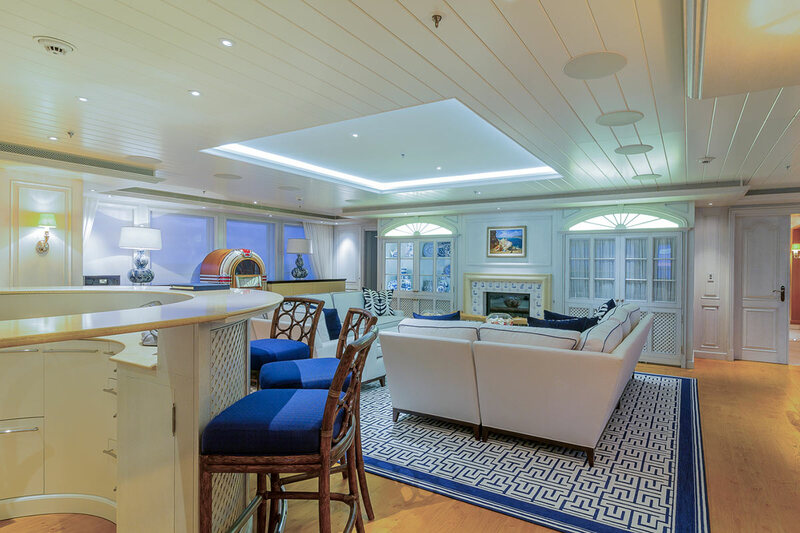 For more intimate gatherings, the spacious yet cozy upper deck salon features two L shaped sofas and a bar. The cinema offers widescreen entertainment. 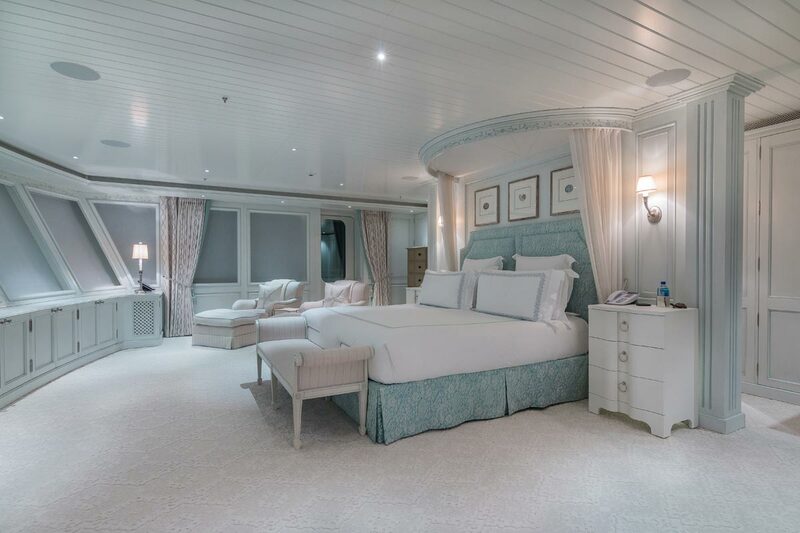 Bella Vita provides elegant accommodations for up to twelve guests in six well-appointed staterooms. 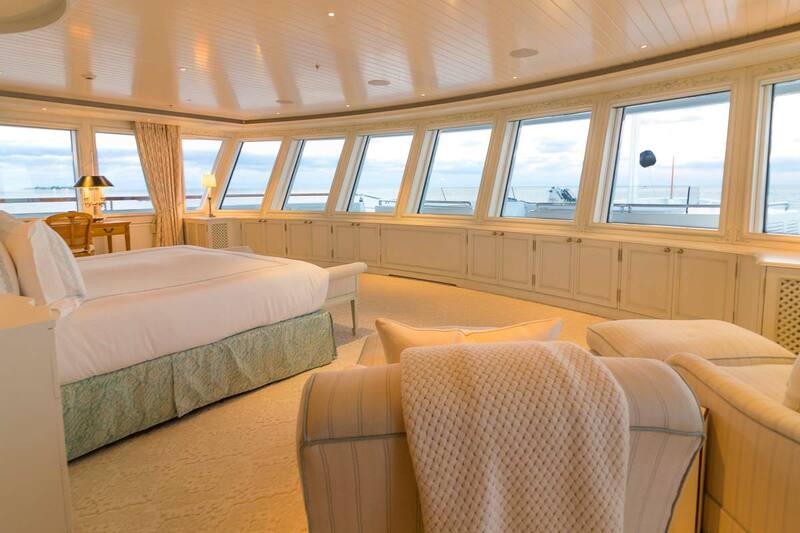 Located on the owners deck, the master suite offers a unique combination of absolute privacy and stunning views. 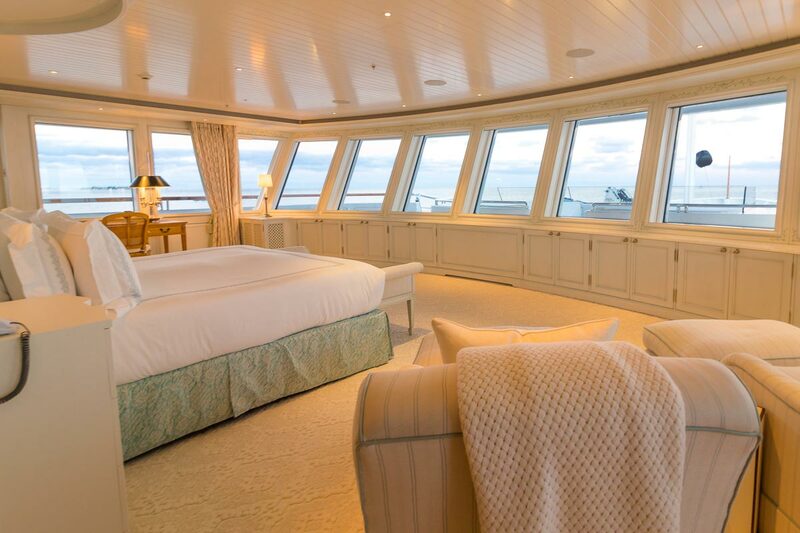 Five guest staterooms feature oversized windows for an abundance of natural light. All have en suite bathrooms, individual climate controls and full entertainment systems. A guest elevator provides easy access to the other decks. 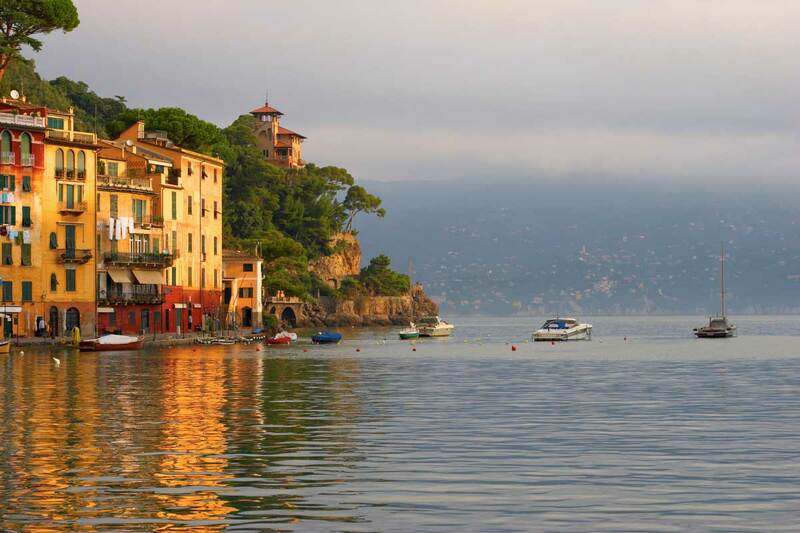 A luxury yacht charter on MY Bella Vita is the ideal way to visit and explore exciting destinations of your choice. MY Bella Vita is designed to take you there in absolute comfort and safety.